Do You Want to Sell Your Commercial Property Fast in Irving, Texas? We Buy Commercial Real Estate in Any Condition for Cash in Irving! Request a cash offer for your commercial property from our Irving investors by filling out this quick form or calling our local office at (877) 717-2087. After reviewing the details about your property, our team member will contact you to schedule a visit to come see your Irving property. After getting a more clear picture of your property’s condition, we’ll give you an all-cash, fair offer based on your local Irving’s market value. I need to sell my commercial real estate fast. Can Property Cashin help? Yes! Our team is dedicated to selling your property within seven days, and we often complete the transaction in less than a week. Can I get cash for my Irving property when I sell with Property Cashin? That’s what we’re here for! We’ll get you a cash offer, no strings attached. How much will it cost to sell my commercial property? You won’t pay a dime to sell with Property Cashin. All fees are included in the transaction. As a commercial property owner, there is no more frightening word than “foreclosure.” A few late mortgage payments can easily snowball into a much bigger problem. If a possible foreclosure is on the horizon, you need to act fast. Once the proceedings begin, it will be almost impossible to get equity back for your property. 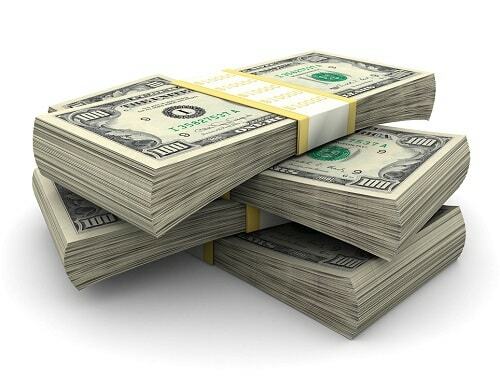 Property Cashin is committed to getting you cash fast for commercial real estate. We will help you sell your property in a week’s time and avoid foreclosure proceedings. In this unpredictable economy, most businesses experience ups and downs. If you find that the “downs” happen more than the “ups,” your revenue losses may be impossible to overcome. Take action to stop the losses before you fall deeper into debt. The sooner you sell the property, the sooner you can move forward. The team at Property Cashin understands your unfortunate situation, and we can help. Sell your commercial property fast with us and you can expect a quick payout. Lawsuits are an unfortunate reality of the business world. They are also expensive and time-consuming no matter which side of the suit you are on. Legal fees and court proceedings can eat away at your time and money. If you are looking for a fast property sale to pay these bills, look no further. When you sell commercial property with Property Cashin, we will help you get the cash you need, fast. A lawsuit is stressful, but it does not have to be devastating to your wallet. Business partnerships are just like any other relationship. There are good times and bad times in a business partnership, and this relationship can also come to an end. You and your partner may have had different visions for the business. Health or personal issues may be to blame for the problems. Whatever the cause, you may find yourself in a severe situation. If your business partnership is no longer working, Property Cashin can help get the funds you need fast. You’ll be ready to invest in a new venture in no time. Imagine this scenario. Your business has had a successful month. You’re up to date on your bills and brought in extra profit. There’s only one problem: your building needs repairs. Even with your profits, you’re struggling to pay for renovations. If this sounds like you, it may make financial sense to sell the property with us. Leave the stress of expensive repairs behind, and move on to a new project. Property Cashin will help you sell commercial real estate quickly. Accept our cash offer and lose the stress. Do you need a larger space to keep up with business growth? Is your current location too large and you are looking to downsize? It is essential to have a space that is appropriate for your business needs. Don’t wait for your building to become an even bigger problem. The Property Cashin team will help you sell your commercial real estate in a week or less. You and your business deserve the best. Issues in your personal life can cause you to rethink your business strategy. Health problems, divorce, or family emergencies can make running a business much more challenging. Bills can add up quickly when you’re preoccupied with personal issues. If you find that these issues are impacting your ability to keep your business afloat, you may need to sell your property quickly. Property Cashin understands that life happens. We will help sell your property fast so you can focus on what matters. Ever wanted to travel the world, go to college, or focus on your family, but your business is holding you back? Being a property owner is difficult and expensive. Loans, bills, and the stress of running a business can take a toll. It’s possible you feel like you’re wasting your time and money on your commercial property. There is no better time than the present to stop wasting and start living when you cash in on equity. We can help you start the next chapter when we get you a cash offer in seven days or less. Give Property Cashin a call today. Do you want to sell commercial property fast in Irving, TX? Property Cashin has the funds available and is ready to help. We buy properties for cash all over America, but we specialize in offering fair prices and quick cash for Texas commercial properties. We’ll take your commercial property in any condition and turn it into money that you can spend, fast.When you need liquidity for your next business venture, Property Cashin is here for you. We help business owners that want to retire, investors that don’t want to deal with a property anymore and companies that need cash to ward off bankruptcy. Our staff members expedite the negotiation process and move through closing quickly to give you the money that you need. We’ve already got the funds necessary to cover your transaction. All that’s left is for you to give us a call.If you’ve got a commercial property that’s costing you money, get in touch with us to transform that property into cash in your wallet, fast.